The EaP CSF welcomes the letter sent by Syracuse University on 11 June 2018 to the United States Secretary of State Michael R. Pompeo on the situation of their alumnus Emin Aslan from Azerbaijan. Mr Aslan is a recent law graduate who was arrested on 4 June, one day after arriving in his native Azerbaijan, and sentenced to 30 days of detention for allegedly disobeying police instructions. The Steering Committee members sent a letter to the university on 6 June urging them to contact institutional stakeholders in Baku and Washington, D.C., including the US State Department, and ask them to intervene on Mr Aslan’s behalf and to monitor the situation. Mr Aslan is a well-regarded human rights lawyer who has helped his fellow citizens to prepare submissions to the European Court of Human Rights in Strasbourg and worked with the Media Rights Institute, a pro media freedom non-governmental organisation that was forced by the authorities to close in 2014. 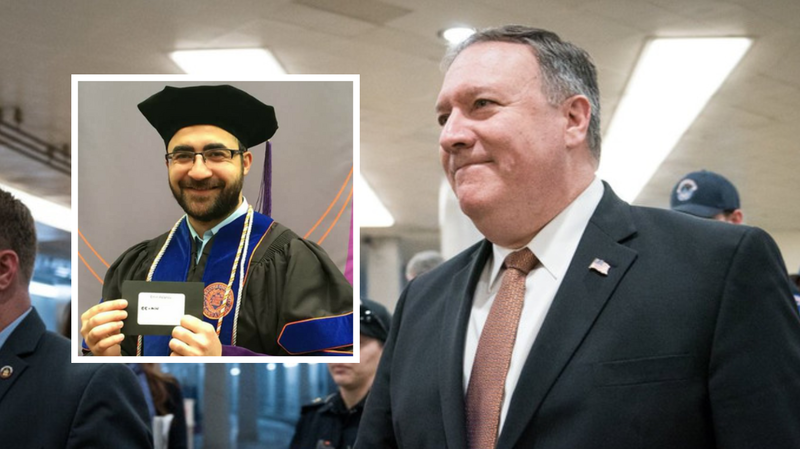 In the letter to the US Department of State, the university urges the Secretary of State Pompeo to investigate the matter, including the reasons for his detention, which, according to the human rights organisations, are curbing his human rights advocacy work and silencing his opinions about the Azerbaijani government. The EaP CSF welcomes that the College of Law of the Syracuse University is following closely the developments surrounding the detention of the human rights lawyer. “The University is prepared to do what it can to help procure the information about Mr Aslan’s disappearance. The safety of our students and alumni is of great importance to us and we hope that you will consider our request,“ states the letter. In addition, one of Emin’s former professors, C. Cora True-Frost, is closely monitoring the situation, as well as the College’s blog Impunity Watch, advised by Professor Frost. Other professors have spoken about the case in the media. Their stories can be found here and here.